Old Ten Speed Gallery is proud to lead the Pro-Derailer Movement. Kaya is new to the old ten speed scene, but I can tell already that she has a good eye. 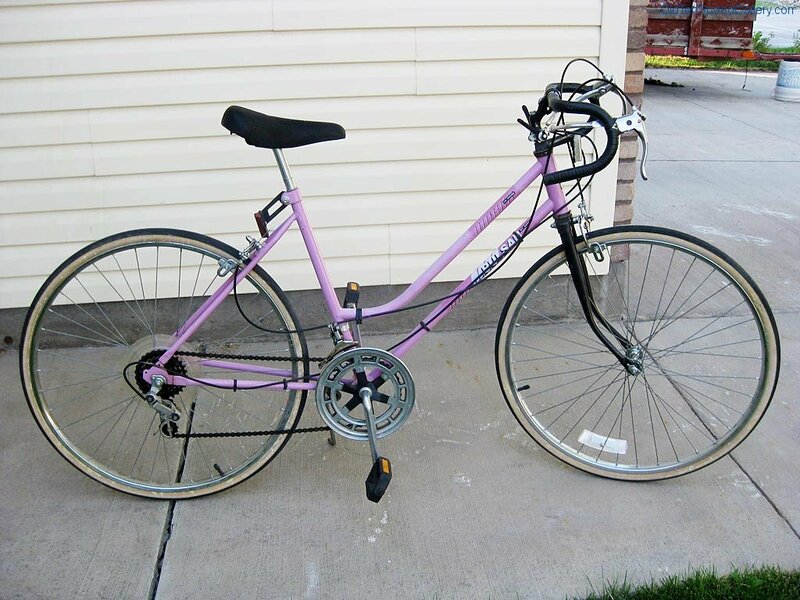 This Huffy Pulsar is great bike for a newcomer to the scene—it’s complete and original and it’s free of rust. Kaya, get the new tires and buy a bottle of chain lube and you’re set. Ride it till the wheels fall off. Oh, and try to keep it out of the rain. I found this bike at the Youth Ranch thriftstore and it spoke to me. I know absolutely nothing about the care and keeping of old ten-speed bicycles and was hoping someone here could give me some links or pointers. I’m headed to the bike shop tomorrow to get new tires and a helmet, in the very least, since I intend to use it for my commute to work. This is a great site you have, I’m glad I found it!